Students interested in the life sciences also may consider related tracks within major programs offered by the Department of Chemistry and Chemical Biology (chemical biology option) and the Department of Psychology (specialization in behavioral neuroscience). The Division of Life Sciences coordinates, fosters, and integrates the instructional and research activities of a broad range of faculty with interests in the biological sciences. The principal units of the division include four departments: Cell Biology and Neuroscience, Genetics, Kinesiology and Health, and Molecular Biology and Biochemistry, as well as two sections, the biological chemistry section of the Department of Chemistry and Chemical Biology, and the biopsychology and behavioral neuroscience section of the Department of Psychology. The division's primary goal is to provide a high caliber of interdisciplinary teaching and research in the life sciences as it trains the next generation of teachers, researchers, and future health professionals. Instruction in the life sciences has undergone enormous changes over the past�15 to 20�years. These changes reflect the intellectual revolution of the last two decades, as well as technical advances that have expanded greatly the tools available to life scientists. Today, students majoring in the life sciences at Rutgers University-New Brunswick experience an exciting atmosphere of learning that exposes them to the concepts and methods of these intellectual and technological advances. The students have open to them a plethora of learning avenues, ranging from thought-provoking lecture presentations to original and cutting-edge research opportunities in state-of-the-art laboratories. A first-class faculty and modern laboratory equipment reflect the division's commitment to provide its students with the best learning environment. The division offers a wide spectrum of majors for students interested in the life sciences. 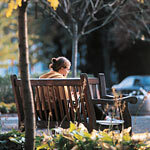 These options range from a division-based major in biological sciences, designed to provide a general life sciences education, to department-based majors in cell biology and neuroscience, exercise science, genetics, molecular biology and biochemistry, and sport management aimed at providing specialized training, with a strong emphasis on research. Graduates of the division will be highly competitive for a range of postbaccalaureate opportunities, including graduate education and research, health-professions training, and biomedical and biotechnological research positions, as well as teaching careers in the sciences. The first two years of the student's tenure at Rutgers is expected to revolve around the life sciences core curriculum, a series of basic offerings designed to provide the general background required for pursuing upper-division courses in any of the individual majors. Regardless of the major chosen, students are encouraged to participate in independent study within a research laboratory in order to take advantage of the rich expertise of the many life sciences faculty in New Brunswick and Piscataway. The exercise science and the sport management majors require an internship experience. The division also has a highly developed advising system, with�dedicated and knowledgeable�faculty advisers available to work with individual students in their selection of courses, completion of major requirements, and preparation for future careers. No more than 16 credits from among the life science courses required for completion of any Division of Life Sciences major may be fulfilled by credits transferred from any school outside of Rutgers-New Brunswick. For additional information and announcements about the Division of Life Sciences, please visit the division's website.